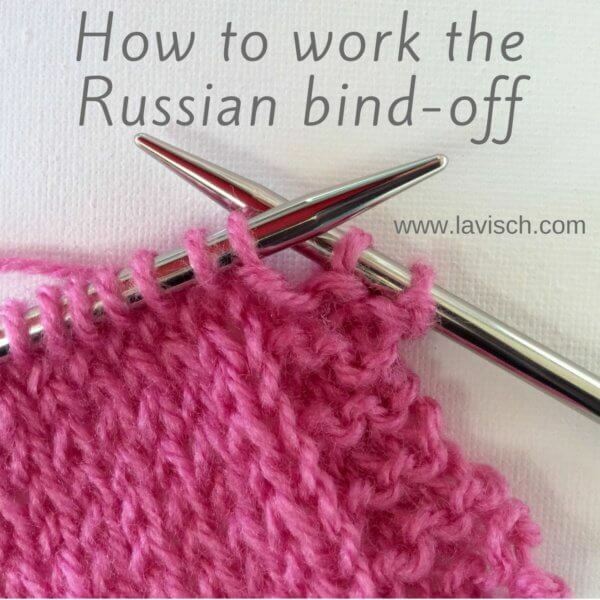 Of course, you always make sure that you have enough yarn left to bind off your project. I myself like to weigh the amount of yarn each row or round uses when I’m nearing the end of the project (or yarn!). 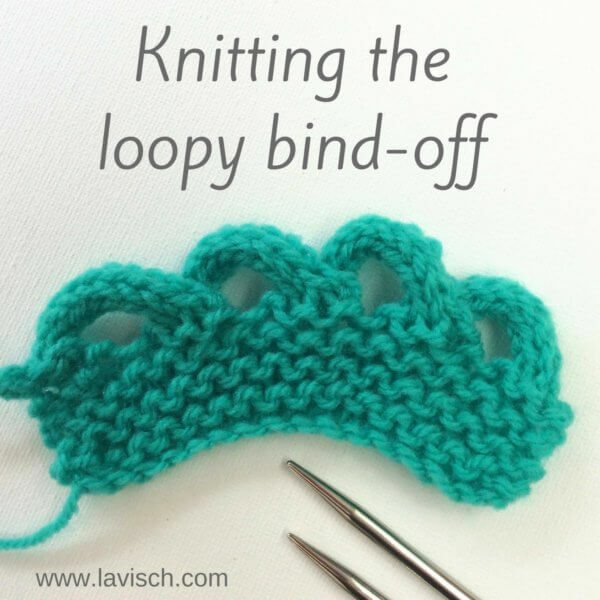 This way I can make sure I have enough left to bind off. Depending on the type of bind off I plan on using, I know I have to reserve about twice or three times the amount of the last row. 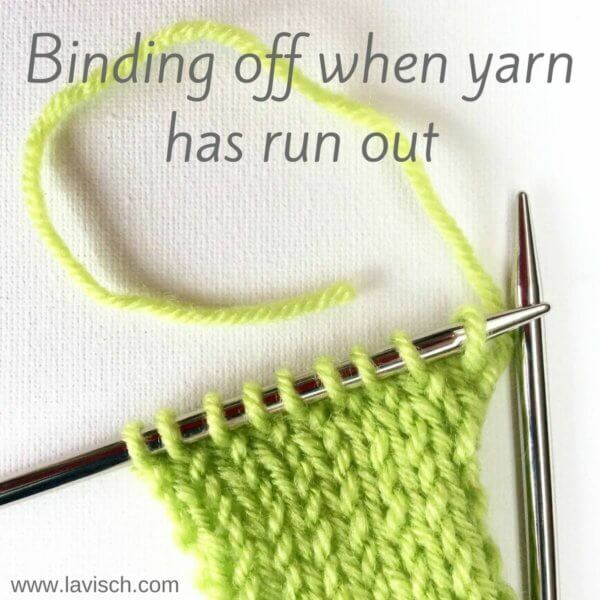 However, it won’t hurt to know more about binding off when yarn has run out, in case of emergency. You know, in that very rare situation that you have lost that game of yarn chicken… Mind you, this is really only an option in special cases, because this bind off tends to be quite tight. This lack of elasticity makes it not really suitable for things like neck openings of sweaters. I wouldn’t use it for projects to be blocked out significantly for best results, like lace, either. 1. 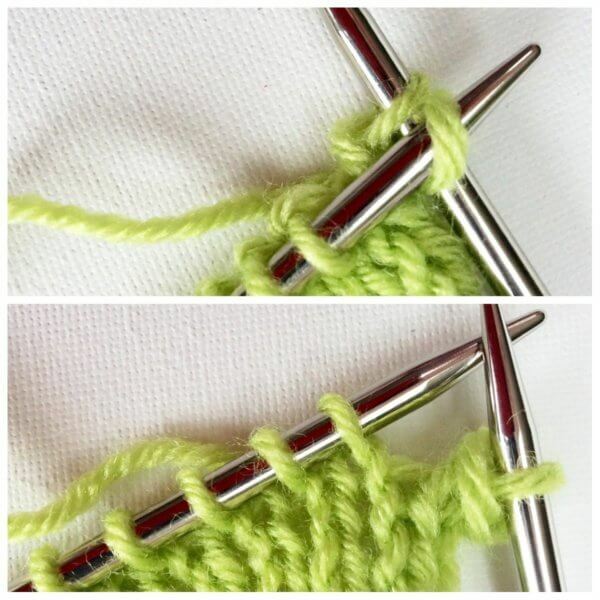 In the picture below you can see that there is very little yarn left: Too little to bind off the normal way. 2. 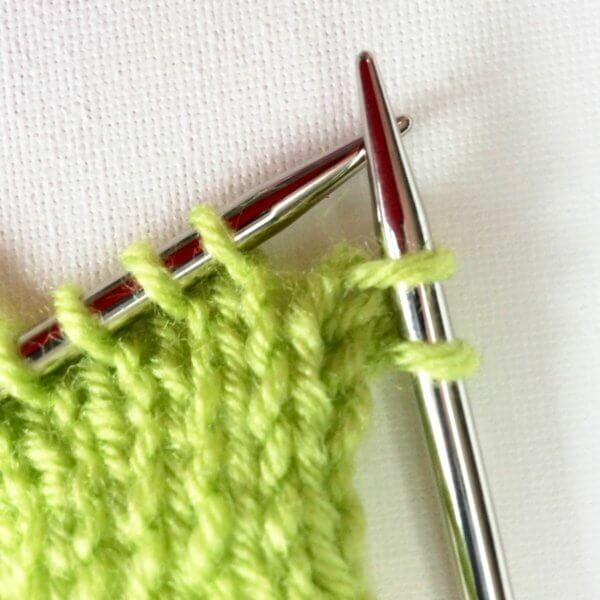 Slip the first stitch knit-wise from the left to the right needle. 3. 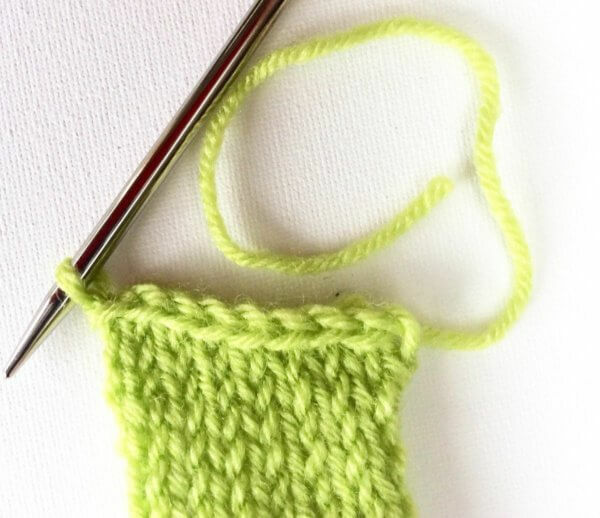 Slip the next stitch from your left needle knit-wise to the right needle. 4. 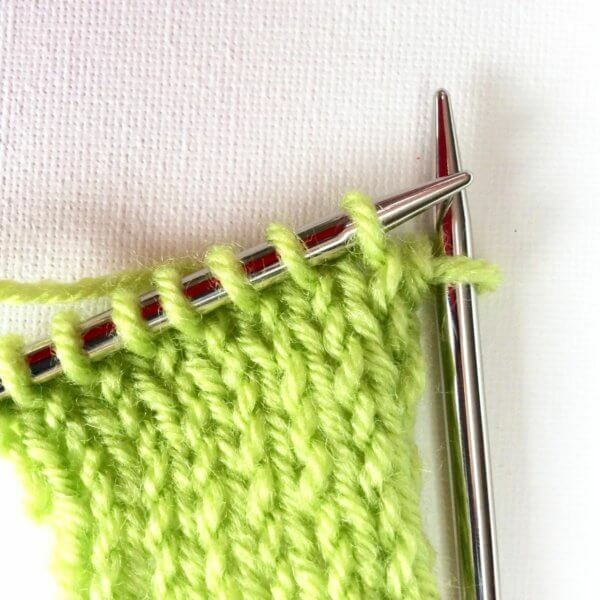 Pass the first slipped stitch on the right needle over the second stitch. 5. Repeat steps 2 to 4 until all stitches have been bound off. 6. As you can see in the picture above, there will be leftover yarn on the right while you have one last loop remaining on the left side. 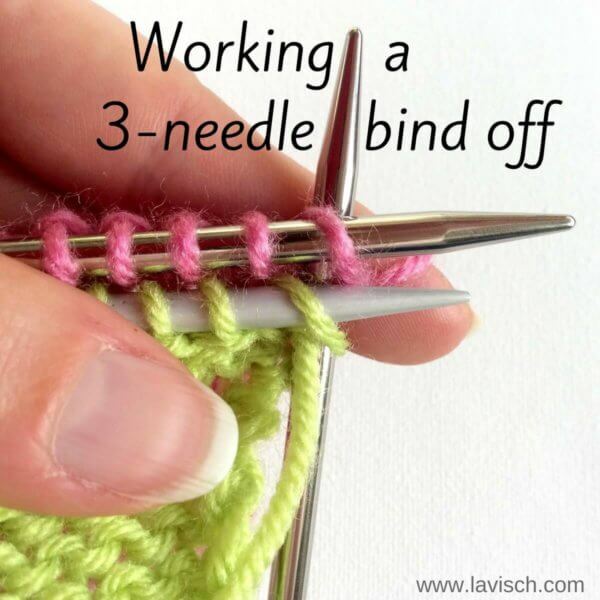 If the work must be joined in the round, you can connect it by pulling the remaining yarn through the last live stitch, securing the end by weaving it in. If the work will remain flat, you need about 10 cm of yarn from the yarn end to secure this last live stitch. Cut this length, pull it through the stitch and weave all the loose ends in. Not ideal, but a good technique to know in case it is ever needed!